From the perspective of valuation, at present, among the various assets in China, “shares>bonds>cash gold>houses, the most investment value in the stock market, the second in the bond market, cash and gold again, and the housing market has no investment value. .
Second, they all say that safety is paramount, and cash is not king. At the end of the 18th year, based on the expectation that the economy continues to decline and credit risks are frequent, the mainstream view is that in the future, capital security should be placed first, and cash, gold, and national debt are preferred. But so far, from the performance of large-scale assets, the performance of security assets is actually not very good. Taking Yu'ebao as an example, the annualized rate of return this year is about 2.6%, and the absolute return achieved by the beginning of February is about 0.3%. In January, the price of gold in London rose by 3.05%, but since the appreciation of the yuan against the US dollar in January this year was 2.3%, the price of RMB gold in January rose by only 0.3%. At the end of last year, the government bonds that were widely optimistic, the absolute increase of the CSI government bond index so far this year is about 1%. In other words, if you hold the national debt index in China this year, you will get a return of about 1%; if you hold cash and RMB gold, the return rate is about 0.3%. However, if the stock assets are held, the main stock index of A shares has risen by more than 5% so far, of which the Shanghai Composite Index rose by 5% and the Shanghai and Shenzhen 300 Index rose by 7.9%. In other words, so far the performance of safe assets is far less than the stock assets, cash is not king. Third, the bond market is favored, and the interest rate is too low. Why is the performance of safe assets not as good as expected this year? The reason is actually the price of the purchase, the current safe assets are not cheap. For example, in cash assets, when we invest, what we mean is not the banknotes in the wallet, but the monetary fund, which is a kind of interest-earning assets that can be withdrawn at any time. In the case of Yu'ebao, it was established in 2013. In addition to its initial establishment and part of 2016, its annualized rate of return is basically above 2.5%, and the highest in 2013 reached over 7%, and in 17 years. It also reached more than 4% in the first half of the year and the beginning of the 18th year, but its current yield is only 2.6%, which is near the lowest point in history. 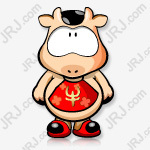 Therefore, if you buy 100 yuan balance treasure in 13 years, you can get more than 6 yuan interest for 1 year. Even if you purchase 100 yuan of balance treasure at the beginning of 18, the interest income for one year is about 4 yuan. 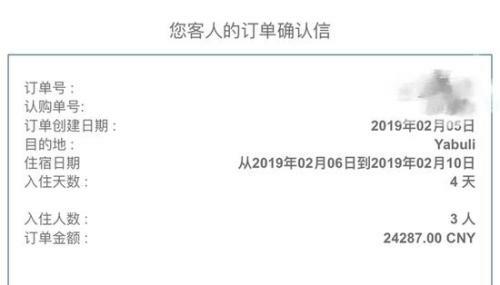 But if you buy 100 yuan of balance money now, the interest income of holding one year is only about 2.6 yuan, which means that the current balance treasure is actually sold very expensive, so we can't earn any interest at all! Looking at the bond market, why is the return on government bonds in 19 years likely to be much lower than 18 years? The duration of the CSI Bond Index is about five years, so it can be regarded as a national debt with a term of five years. At the beginning of 2018, the interest rate of China's 5-year government bonds was 3.84%, so the interest income for one year was 3.84%. At the end of 2018, the 5-year government bond rate fell to 2.96%, and the interest rate dropped by 88bp in one year. The price of bonds is opposite to the trend of interest rates. The downside of interest rates represents the rise in bond prices, and the longer the term, the more it rises. The five-year period is equivalent to a five-fold increase, so the 0.88% interest rate drop is multiplied by five times, which is equivalent to five. The price of government bonds rose by 4.4%, and the return on 18-year government bonds after interest income plus capital gains exceeded 8%. However, after the sharp drop in interest rates in the past year, the current 5-year bond interest rate of around 3% is already near the historical low. In the past 10 years, in addition to the short-term time of the 2008 and 2009 financial crises, the 5-year government bond interest rate is rarely less than 2%, and most of the time is above 2.5%. Therefore, even if the 5-year bond rate is assumed to fall to a historically low point of 2.5%, then the interest rate decline is only 46bp, corresponding to a price increase of 2.3%, plus a coupon of 2.96%, holding a one-year expectation. The rate of return is only around 5%, far below 18 years. Why is the expected rate of return on holding government bonds falling sharply in 19 years? The reason is that the current bond interest rate is close to the historical low, which is equivalent to the national debt is sold at a relatively high price in history, selling too expensive, and it is certainly not easy to make big money. Therefore, although all the economic and inflation downturns this year and the outbreak of risk events are beneficial to the national debt, the national debt is rising, and the decline in the interest rate of the national debt is quite limited. The interest rate of the 10-year government bond has dropped by only 13bp. The main contract of the treasury bond futures began to pull back after hitting a high point on January 8. The reason is that there is no reason for it. Because the current interest rate of treasury bonds is too low, it has fully reflected the pessimistic expectations of the market. Fourth, the valuation history is low, A shares are cheap enough. In the past 19 years, whether it is the downturn of economic inflation or the frequent occurrence of risk events, it is actually unfavorable to the stock market, especially after the bad events of huge commercial reputation write-downs, which triggered a panic in the market's sharp decline in the performance of listed companies. However, the performance of A-shares has been quite strong this year. The current yield is far higher than that of the bond market. Even the best performing assets in the bond market are the convertible bonds related to the stock market. The CSI convertible bond index has increased by 6.3 this year. %, far beyond the increase in national debt. Why is the stock market not falling and rising? An important reason is that the current A shares are sold very cheaply. How to define the level of stock price? Not looking at the point, but looking at the valuation. Usually, everyone sees the performance of A-shares as good or bad, habitually measured by the above index. The current Shanghai Composite Index is about 2,600 points, which is more than half of the highest historical 6124 points. However, some people say that the Shanghai Composite Index fell to 1664 points in 2008, and even fell below 1000 points in 2005. Therefore, the current 21,000 points of the Shanghai Composite Index are not particularly cheap, and may fall in the future. But if we only measure the level of the stock price by the point of the stock index, then the US stocks do not understand. Because the US stock index is hitting record highs almost every year, the current S&P 500 index is as high as 2,700 points, the lowest has fallen to 666 points 10 years ago, and only 40 points before 40 years. If you only look at the stock index, then the US stock market It looks like a crazy bubble. But in fact, 50% of the funds of global equity funds are currently deployed in the US market. Buffett is also holding US stocks for a long time. These smart people have already told us by action that the US stocks in their eyes have long-term investment value, which shows that US stocks The bubble is not as terrible as simply looking at the stock index. The reason is that the true measure of stock price is not simply the price we pay, but also the return that the stock market can provide. For listed companies, after we buy stocks, listed companies will generate tax revenue through daily operations, which is actually our return on investment. Therefore, the true measure of stock price is the ratio of stock price to earnings per share, which is the price-earnings ratio (PE). Therefore, although the US S&P 500 is currently up to 2,700 points, its PE valuation is about 20 times, and the average valuation of the S&P 500 in the past 150 years is 16 times, which means that although the US stock market has experienced It has risen for many years, but in fact the degree of foaming is quite limited. Looking at A-shares with P/E ratio is currently cheaper than the previous two big bear markets. If you look at the Shanghai Composite Index, the 998 points in 2005 and the 1664 points in 2008 are much lower than the current 2600 points. However, if we look at the price-earnings ratio, the Shanghai Composite Index PE is 17 times in 2005, and the 2008 P/E ratio is at least 13 times, which is actually higher than the current 11 times valuation. This means that from the perspective of price-earnings ratio, the current A-shares are much cheaper than the lowest points of the past two big bear markets. High valuations are hard to make money, and low valuations can make money. In fact, the average price-earnings ratio of the Shanghai Composite Index has reached 43 times since the birth of China's A-shares. In the early 1990s, the price-earnings ratio was more than 100 times. In the early 2000s, the price-earnings ratio exceeded 60 times. Because the initial pricing was expensive, A The stock has been in the process of digesting valuations in the short history, which makes the return on investment of A shares seem to be lacking. However, if you grasp the A-share volatility in the volatility of each era and choose to buy at a low level, you can actually make money. For example, in the 1990s, the average price-to-earnings ratio of the Shanghai Composite Index was 80 times, and the cheapest period was 24 times that of 1995. If you buy A shares in 1995, you can triple the number in 1999. In the 2000s, the average P/E ratio of the Shanghai Composite Index was 37 times, of which the cheapest was twice, once 17 times in October 2005, and the other was 13 times in October 2008. At these two points, the A shares were bought. At the end of 2009, they increased by 3 times and twice. In the 2010s, the average price-to-earnings ratio of the Shanghai Composite Index was 14 times, of which the cheapest was twice, and once was 9 times that of April 14th. The Shanghai Composite Index fell below 2000 points, and the Shanghai Stock Exchange Index still earned. 30%. The other time is 11 times that of December 18, and the rise in A-shares in 19 years seems to be without any support from economic data. In fact, there is a good reason that the valuation is cheap enough. 5. Renting and selling are lower than innovation, and house prices are actually very expensive. When it comes to investment opportunities, we can't help but mention real estate, and our view is as always, that is, the current housing market lacks investment value. Why do you say that? The reason is actually very simple, because the valuation of the house is too expensive. How to measure the level of housing prices? Similar to the price-to-earnings ratio of stock prices, an important reference for measuring the price of housing is the rental return rate. I came to Shanghai myself in 2005. I started renting a house at the beginning. I remember renting it in the Zhuyuan Community of Century Avenue in Pudong in 2007. At that time, the house price was about 15,000 yuan/square meter. The house we rented was about 60 square meters, and the monthly rent was 2,600 yuan. The equivalent return on rent is about 3.5%. The current housing price in this community is about 80,000 yuan / square meter, the monthly rent of a 60 square meter house is about 6,000 yuan, and the rental return rate is about 1.5%. 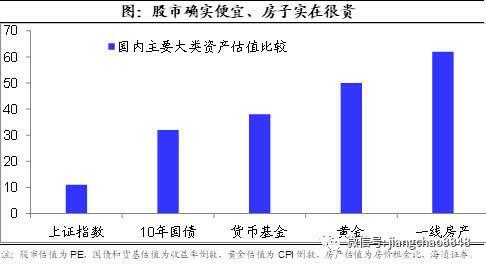 According to the data of Zhongyuan Real Estate, the average rent return rate of the four first-tier cities in the north, Guangzhou and Shenzhen at the beginning of 2008 was 3.5%, and fell to 1.6% at the end of 18 years. This decline is similar to our observation. If the rental return rate is reversed, the house price rent ratio can be regarded as the valuation of the housing market. Therefore, the housing market in China's first-tier cities in 2008 is estimated to be about 29 times, and by the end of the 18th year it has risen to 62 times. The level is near the highest point of the past 10 years. Second-hand housing prices have gone from rising to falling. There is a big confusion in researching real estate in China that reliable house price data cannot be found. The Statistics Bureau will announce the increase of new houses and second-hand houses in 70 cities every month. According to the data released by them, after the second half of 18 years, the house prices of new and second-hand houses will increase, and the year-on-year increase in house prices will rebound significantly. But after the second half of last year, I have been to many cities across the country, including Beijing, Guangzhou, Chengdu, Zhuhai, Guiyang, etc. The information I know is that second-hand housing prices are falling, and the decline is not small. In view of the negative growth in the sales area of ​​commercial housing in the fourth quarter of last year, and the decline in January 19 is still expanding, the house can not sell, how can the price increase, the statistical data of the Bureau of Statistics is difficult to convince. In addition to the Bureau of Statistics, there are many companies and industry associations that also publish statistics on house prices. For example, the price index of Zhongyuan Real Estate shows that the second-hand houses in the north and the north and the six major cities in Tianjin and Chengdu have seen a significant decline in the second half of last year, with an average decline. It is 5%. In addition, data released by Beijing Guoxinda Data Co., China Real Estate Appraisers and Real Estate Brokerage Association and Tsinghua University Henglong Real Estate Research Institute show that the listing price of second-hand houses in 376 cities nationwide has dropped by 3% in the past four months, including 19 years. The decline in January was 0.2%. These enterprise-level data may be closer to the real situation. Therefore, although many people have high expectations for the 19-year property market, they believe that the policy will regain the old road of stimulating real estate, but at least so far, holding property this year should be a loss. 6. In the past, the currency was over-represented, and the housing market was the leader. Based on the performance of the major domestic assets this year, the stock market is the best, the bond market is second, the cash and gold are again, and the housing market is at the bottom, which is quite different from the performance of the past decade. In the era of currency overtime, the housing market is the most beneficial. In the past decade, China's housing market has been the biggest winner in asset allocation. According to the Central Plains Real Estate Price Index, the average price of second-hand houses in the four first-tier cities has increased by 3.6 times since the beginning of 2008, with an average annual increase of 12%. The stock market is the biggest loser in asset allocation. Since the peak in 2007, the stock market has fallen more than half, far from the housing market. In fact, similar phenomena have occurred in the United States. Don't look at the US stocks now, but from 1964 to 1979, US stocks have not risen for 16 years. The S&P 500 index closed at 85 points in 1964 and closed at 108 points at the end of 1979, which means that the S&P 500 index rose by only 27% in 16 years, with an average annual increase of less than 2%. In the same period, US house prices rose 3.3 times, an average annual increase of 8.3%, far better than the stock market. In fact, in these two periods, although they are in different countries, there is a phenomenon that is particularly similar, and all of them are super-currency. In the past decade, China’s broad money has grown at an average annual rate of 15%, while the US’s 1960s/70s have maintained a double-digit growth rate for a long time. The housing market valuation increased and the stock market valuation was compressed. Why is the currency market in the era of currency overtime most benefiting, and the stock market will suffer? We need to analyze the reasons behind rising house prices and stock market declines. From the perspective of rent-to-sale ratio, the change in house prices can be broken down into two parts, one is the change in the valuation of the housing market represented by the rental-sales ratio, and the other is the change in rent. From the perspective of price-earnings ratio, the change in stock price can also be broken down into two parts, one is the change in stock market valuation represented by price-earnings ratio, and the other is the change in corporate earnings. We found that during the above two periods, the housing market's rise also benefited from the valuation increase and rent increase, while the stock market's decline was mainly due to the decline in valuation. In fact, corporate profits are rising sharply. For example, from 64 to 79 years, house prices in the United States rose 3.5 times, of which rents rose 2.8 times, and some of the price increases came from the housing market valuation. During this period, the US S&P 500's corporate profits also increased by three times, but as the S&P 500's valuation fell from 19 times to 8 times during the same period, the US stock market during the period almost did not rise. From 2007 to 18, housing prices in China's first-tier cities rose by an average of 3.6 times, with house prices rising by a factor of two over the representative housing market, and only 1.8 times from rents. In the same period, the profit of China's A-share listed companies increased by 2.8 times, but as the valuation of the Shanghai Composite Index fell from 55 times to 11 times, the stock market still fell sharply by half. In other words, in the 1960s and 1970s in the United States and China in the past decade, the housing market rose far more than the stock market, but the reason is not because the profit growth rate of listed companies in the stock market is not as fast as the rent, but because the housing market valuation is improving. The valuation of the stock market is greatly reduced. This is actually related to the over-currency of the currency, because the high inflation has led to high inflation expectations, so the valuation of the housing market continues to rise. High inflation has brought high interest rates. The interest rate of US Treasury bonds in the 1970s once exceeded 10%. China’s past shadow banks can also provide quasi-risk-free yields of more than 10%, which makes the stock market’s attractiveness drop sharply and valuation. Great compression. Many people are used to deriving the future according to historical experience: because of the big bull market in the past year, the bonds were sold in early 19, and the online search shows that there are 4 bond funds in the top 10 of the hot fund in the past month. Only one Equity funds, the rest are index or hybrid funds. Because of the big bull market in the past 10 years, many people's views on the rise in housing prices have become a belief. Because the Shanghai Composite Index has barely risen in the past 17 years, many people think that the Chinese stock market will never rise. In the United States in 1979, because the stock market did not rise for many years, Business Week wrote a famous article on "The Death of Equities" on the grounds that young people are moving away from the stock market. Because of high interest rates, buying money funds It is easy to beat the stock market. History has shown that buying a house can resist inflation, and buying stocks will result in no revenue. This is in fact surprisingly similar to China's current market sentiment. But afterwards, this judgment of Business Week is actually a big mistake. From the beginning of 1980 to the present, the S&P 500 index has risen by 25 times, with an average annual increase of 8.4%. In the same period, the average annual return rate of 10-year government bonds is about 6.3%, the average interest rate of money is about 4.8%, and the average annual return rate of holding real estate is only 4.3% (the increase in the middle price of new home sales). Investing in stock assets in the US over the past 40 years is the best option, and real estate is actually the worst performing asset, and even cash can't run. The valuation of the stock market has reversed and the profit has outweighed the rent. Why is there such a change? First, the most important reason comes from the change in valuation. After the 1980s, the S&P 500's valuation rose from 8 times to 20 times. This alone provided 2.5 times the stock market's gains. In the same period, the US rental return rate remained basically unchanged, that is, the housing market valuation was no longer Upgrade. The second difference comes from the change in earnings. In the 1960s and 1970s, the average rent rate in the United States increased by 7% annually, which is basically equal to the growth rate of corporate profits. However, after the 1980s, the annual rent increase in the United States was only about 4%, much lower than the growth rate of 6% in the same period. Therefore, after 40 years of accumulation, the rent price in the United States has increased fivefold since 1980, and corporate profits have increased tenfold. That is to say, the reason why the US stock market has risen by 25 times since the 1980s is much higher than the five-fold increase in the housing market. One of the reasons is that the valuation of the stock market has been repaired by 2.5 times more than the housing market. The second reason is the enterprise. Profits have grown steadily, up two times more than rent. Receiving a currency to reduce taxes, which is good for stock market performance. The key factor behind this change is actually the change in the growth rate of the US currency, from a high currency increase to an era of low currency growth. After the 1980s, the growth rate of the US currency dropped from double digits to around 6%, and the growth rate was almost halfway. The decline in the growth rate of money has caused inflation expectations to fall sharply and drive the United States into the era of low interest rates. The high interest rate is the main reason for the decline in the US stock market valuation in the 1970s, and after the interest rate decline, the stock market valuation is obviously repaired.